I've talked previously about the Surface Book and just how much I think Microsoft has stepped up their game. 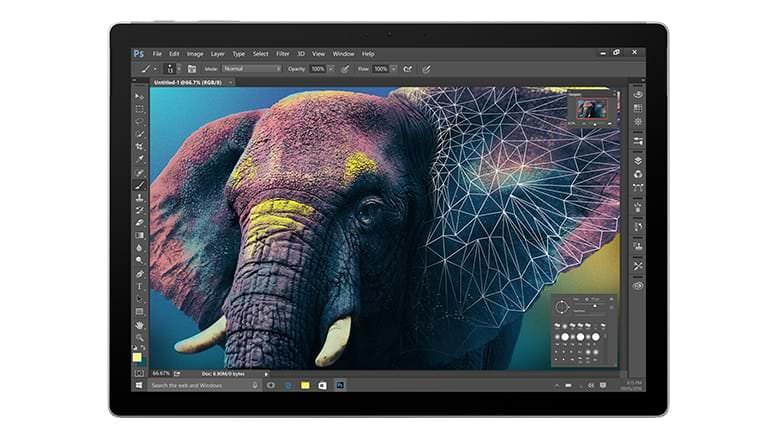 Now that I've had some hands-on time with the Surface Book, I've seen firsthand that Microsoft has made a concerted effort to create something that is fast, functional, and will help just about any photographer in their business and creative pursuits. Two weeks may not seem like a very long time to give Microsoft's hardware a test-drive, but I assure you, it didn't even take the full two weeks to understand that the Surface Book is one good machine. I say this as a photographer that's been married to Macs for years and years, too! 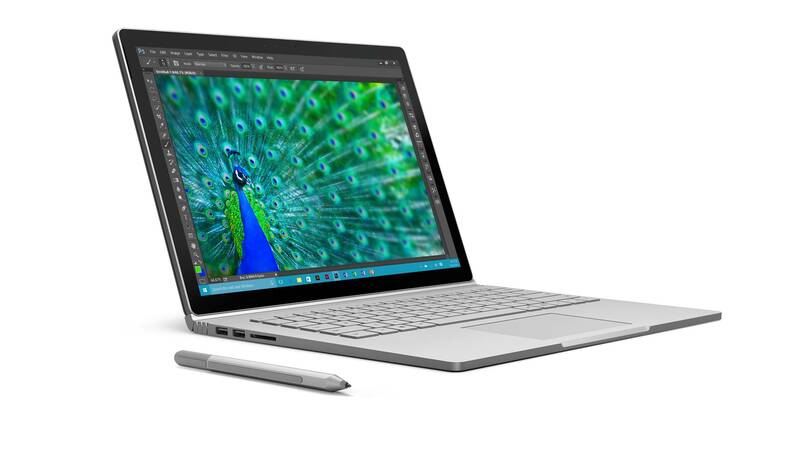 Let me give you a quick overview of some of the best features of the Surface Book. Whether you're a beginner, an enthusiast, or a professional photographer, the sheer versatility of the Surface Book will be much appreciated. Where my MacBook Pro is just a plain old laptop, the Surface Book is a hybrid machine - a laptop and a tablet all in one. That's great for a variety of purposes. As a laptop, I can use it to take care of business tasks like invoicing, contacting clients, and so forth. 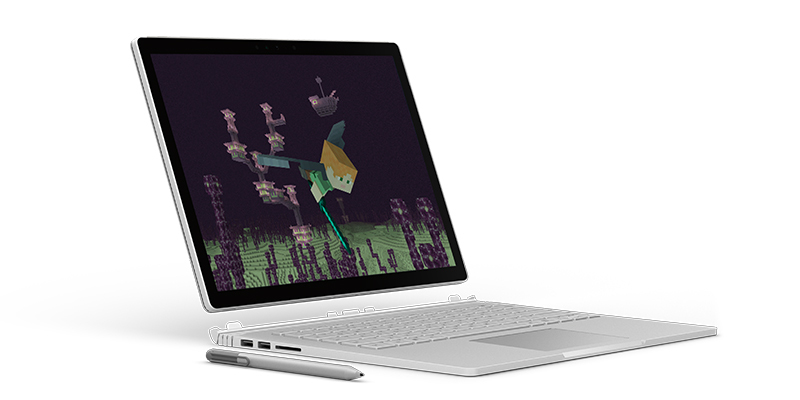 Whatever you traditionally do on a laptop, the Surface Book can handle it. As a tablet, I can use it in "draw mode," with the screen folded down in front of the keyboard. That gives the screen a slightly forward angle (seen above), which makes it super easy to see the screen and make more precise edits to my images. It's a lot like having a miniature drafting table that's got an angle of use that's comfortable for my eyes and my hands. The Surface Book can also be used in what's called "clipboard mode." Simply fold the screen over the keyboard, holding it vertically, and you've got a digital clipboard that I found handy for taking notes during consultations with clients. Clipboard mode (and draw mode for that matter) are also nice for reviewing documents or images with clients. I have a 13-inch MacBook Pro that has served me well for years, but I'd be lying if I said I preferred its screen over the Surface Book's. The Surface Book i7 has a larger screen (by a half-inch), but it has a much better resolution - 3000x2000 compared to the Mac's 2560x1600. That 2:3 ratio matches a standard photo, making reviewing and editing your pictures a better experience. It's also got an improved contrast ratio with a brighter display and more colors, giving you a better picture quality. That makes viewing and editing photos a much more pleasing experience. Of course, all of that is great, but what really makes the Surface Book's display special is that it's a touch screen. If you've never utilized a touch screen to edit your photos, you seriously don't know what you're missing! It makes using a mouse or trackpad, or even a Wacom tablet seem positively quaint. With the Surface Book, you can use your fingers to interact with the screen, or even better, you can utilize the Surface Pen for more precise actions (more on that in a bit). And, since the screen is fully detachable, you can work lean and mean with just the display and get your work done while you're on the go. As if the screen isn't enough to dazzle, the Surface Pen is truly an epic tool for photographers. In fact, it might be the best part of the Surface Book! 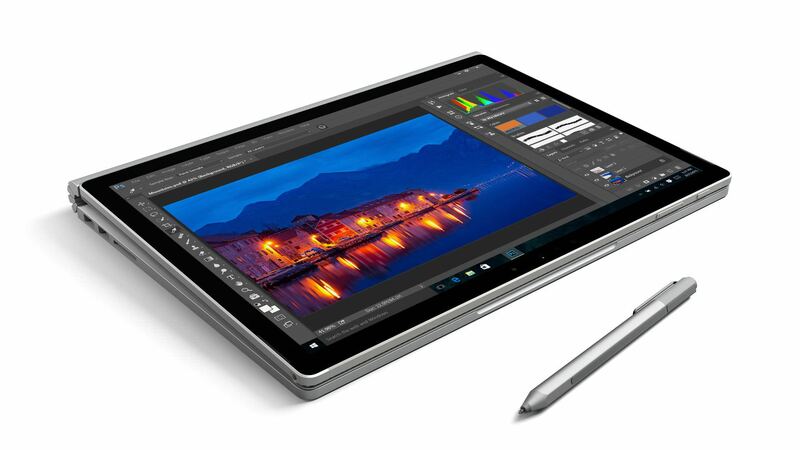 The Surface Pen isn't just any old stylus. For starters, it feels like a traditional pen. It fits well in my hands and feels comfortable even after long editing sessions. 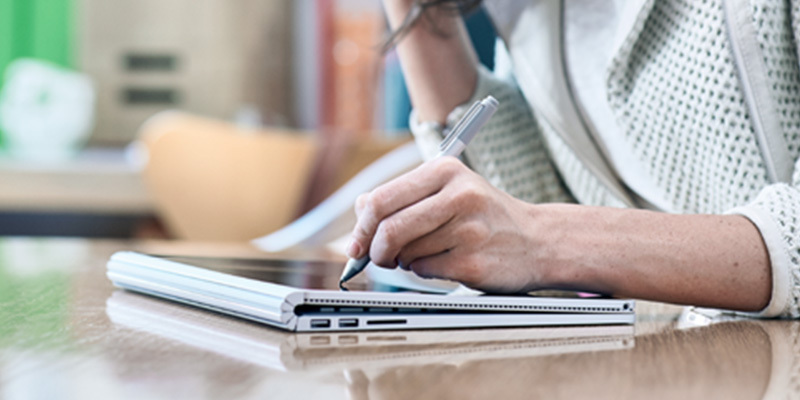 What's more, the Surface Pen interacts with the Surface Book in a beautiful - and familiar - way. The best way to describe it is that it's like writing with a pen or pencil on a piece of paper. There's just enough friction to give you the sense of the interplay between the two devices, but there's not so much friction that you feel like you have to work to move the Pen around the Book's display. 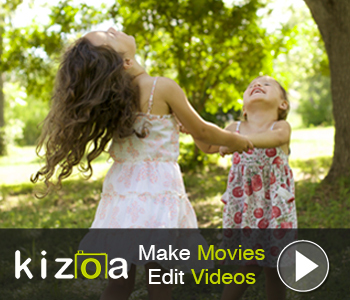 That means that you can make ultra-precise edits to your photos. I particularly enjoyed using the Pen to make selections in my images. We all know how taxing Photoshop and Lightroom can be for a computer, but the Surface Book manages tasks within those programs very well. I experienced very little lag, which is greatly appreciated given how familiar I've become with my Mac's spinning wheel of death. The Surface Book has 16GB of RAM, but I've heard from photographers that have the 8GB model that lag is very minimal on those machines as well. All that RAM means I can tackle intense editing processes without delays. I make an input, and the Surface Book is ready to respond in quick order. Switching between tasks is a breeze as well. Again, there's no lag when moving from Photoshop to my invoicing program to the internet and back to Photoshop. With Intel® CoreTM i5 or i7 processors, it's no wonder that working on the Surface Book is a good experience - there's tons of power to take on virtually any task. I think part of what drove so many photographers to Apple products in years past is that, if I'm honest, the Windows operating system was simply not good. Microsoft took all the flak from earlier iterations of Windows to heart and developed something in Windows 10 that's actually user-friendly and intuitive. 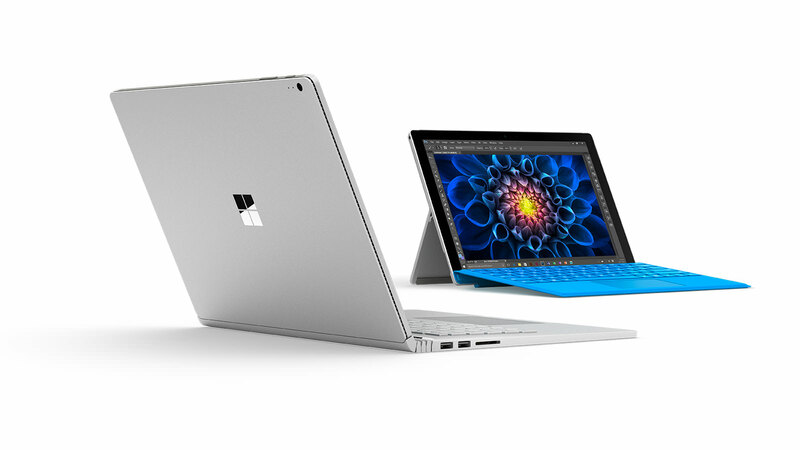 On top of that, Windows 10 and the Surface Book were made for each other - literally. The interaction between the Surface Book's touch screen and Windows 10 is seamless, giving you a fantastic user experience that will leave memories of Mac OS in the distant past. Windows 10 integrates Cortana, Microsoft's digital assistant, so you can use her to search for the information you need, shuffle a playlist, set alarms, and create reminders, so you don't forget to attend to important tasks. There's a new internet browser in Windows 10 too - Edge - that is light years better than the old Internet Explorer. The best part about Edge is that Cortana is integrated with it, and you get nifty digital ink tools so you can mark and highlight a website. That's handy for everything from casually reading a photography tutorial to identifying what your website guy needs to change about your website. There is a lot to like about the Surface Book, not just as a photographer but as a dialed-in member of the modern world. 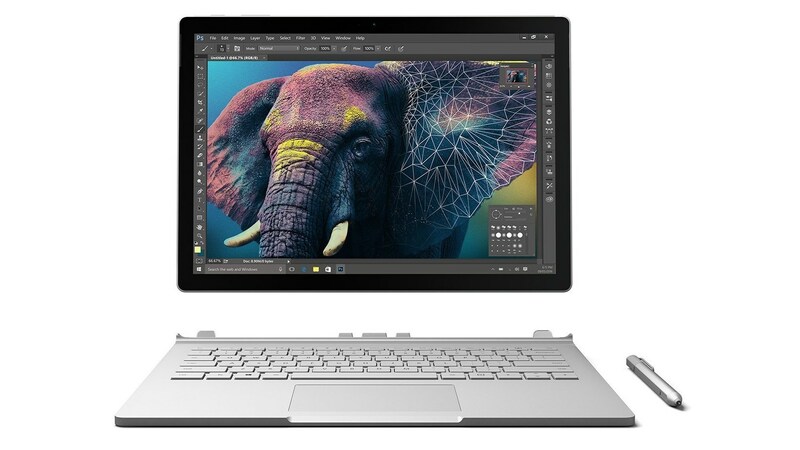 With touch screen capabilities, an awesome input device in the Surface Pen, tons of power, and a great operating system, the Surface Book isn't just competition for the MacBook; it's a game-changer that exceeds the functionality and versatility of the MacBook in just about every single way. I used to be all aboard the MacBook train - and I'll admit that I still love my Mac. However, after some time with the Surface Book, I'm quickly realizing that it will be my go-to machine. If you try out the Surface Book, I'm confident that you will come to the same conclusion!